Why aren't we talking about pricing failures? The US, has consistently higher prices than any other country. The 2010 report by the International Federation of Health Plans consists of 23 pricing measures and the pattern is the same across each of these measures. And a 2010 investigation of Health Care Cost Trends and Cost Drivers in Massachusetts found that "price variations are correlated to market leverage..."
"Overtreatment – the waste that comes from subjecting people to care that cannot possibly help them – care rooted in outmoded habits, supply-driven behaviors, and ignoring science. Fraud and Abuse – the waste that comes as thieves steal what is not theirs, and also from the blunt procedures of inspection and regulation that infect everyone because of the misbehaviors of a very few. We have estimated how big this waste is – from both the perspective of the Federal payers – Medicare and Medicaid – and for all payers." The addition of pricing failures as a sixth element of waste is a subtle but critical shift for the national conversation. It should not go unnoticed. Don Berwick defines pricing failures as "the waste that comes as prices migrate far from the actual costs of production plus fair profits." Think about that: "far from the actual costs of production plus fair profits". At a time when total healthcare expenditures consume a huge share of GDP and increasing at rates higher than inflation and wage increases, why haven't pricing failures been on the table? As we struggle to control costs and improve quality, there is intense focus on utilization, regulation and care coordination. Why not also focus on pricing failures? So why hasn't pricing failures been part of the conversation up to now? Here's how the conversation usually proceeds: Health Affairs November 2011 article, Large Variations In Medicare Payments For Surgery Highlight Savings Potential From Bundled Payment Programs, "found that current Medicare episode payments for certain inpatient procedures varied by 49–130 percent across hospitals sorted into five payment groups. Intentional differences in payments attributable to such factors as geography or illness severity explained much of this variation. 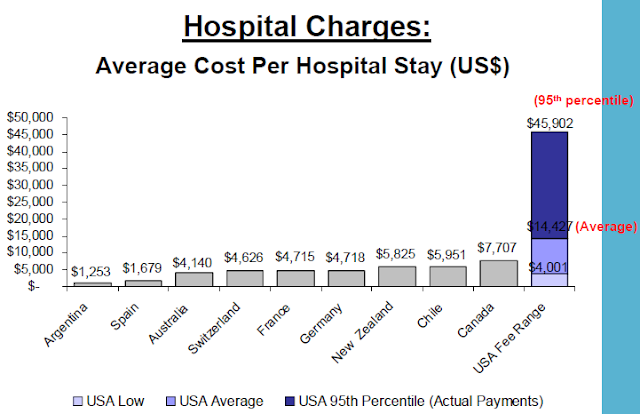 But after adjustment for these differences, per episode payments to the highest-cost hospitals were higher than those to the lowest-cost facilities by up to $2,549 for colectomy and $7,759 for back surgery." Sounds like a clarion call for a focus on pricing failures doesn't it? Actually, no... The authors conclusions only speak to cost efficiency and utilization. 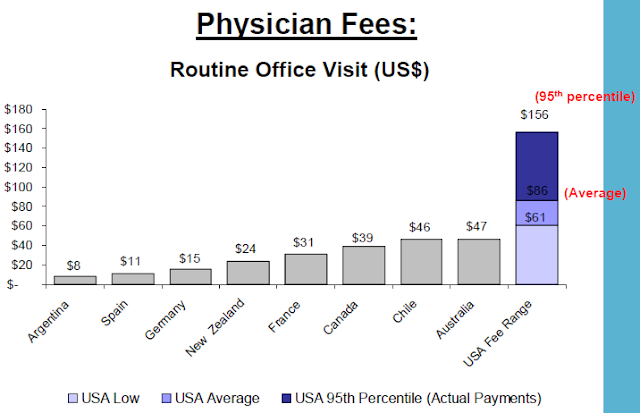 "Our study suggests that bundled payments could yield sizable savings for payers, although the effect on individual institutions will vary because hospitals that were relatively expensive for one procedure were often relatively inexpensive for others. More broadly, our data suggest that many hospitals have considerable room to improve their cost efficiency for inpatient surgery and should look for patterns of excess utilization, particularly among surgical specialties, other inpatient specialist consultations, and various types of postdischarge care." So is it time to broaden the conversation to include pricing failures? At least one health system has realized that "the jig is up". Perhaps it's time to peel the onion a bit... And take a serious look at pricing failures which deviate "far from the actual costs of production plus fair profits".